Amer is the first feature film by directors Hélène Cattet and Bruno Forzani. At its core, it is a full on tribute to the Italian giallo films of the 1960's and 70's. This film oozes the style created by the masters Argento, Bava, and Fulci, and takes it all to another level. The cinematography was really masterfully stunning, employing creative camera angles, sensually teasing close ups, and first person point-of-view shots characteristic of many giallo films. The sound design was fantastic, in a film almost devoid of dialog, every little bump, creak, screech, and footstep, fleshed out each scene perfectly. Also, the evocative soundtrack, entirely recycled from giallo films, wonderfully set the mood for each act of the film. 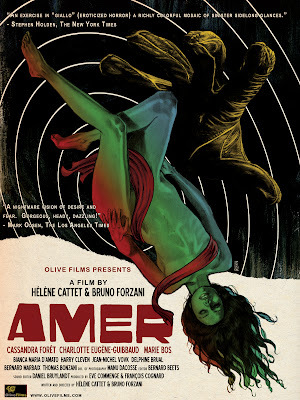 But after all that talk about its influences, Amer isn't really a giallo film. There isn't a mystery, no poorly dubbed dialog, and though there are some aspects of horror and a few unnerving scenes that made me cringe, I hesitate to label it as horror. I can't even properly describe this film, it just needs to be seen. Cattet and Forzani have created a work of pure cinematic art, and one of the very best films of the last year. I don't know about this one but it does look beautiful. Looks like a hot and artistic. 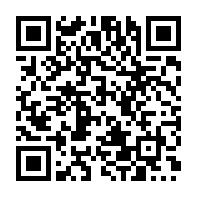 Really interesting, I've always liked good foreign films.